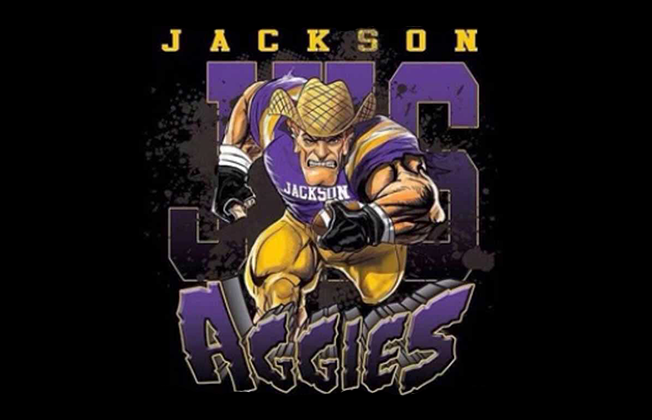 Jackson, AL – After eight seasons at the helm of the Jackson High football program, head coach Danny Powell is walking away. According to reports, Powell will return to his AISA roots next season as the head coach of the Clarke Prep Gators. Early in his career the Leroy native lead AISA programs McIntosh Christian (1-8) in 1978, Lee-Scott Academy (9-4) in 1998 and Jackson Academy (10-20) for three seasons from 1989 to 1991. Powell began his AHSAA coaching career at his alma mater, first serving as the Leroy High head baseball coach, leading the Bears to three state titles before taking over as the 2A program’s head football coach in 2006. He lead the Bears on the gridiron to a combined 66-7 record, five region titles, a 34-1 mark in region play and four state championships over five seasons. In 2011 Powell accepted the top job at Jackson High School where he lead the Aggies to their first undefeated season and the program’s second state title in his first season. Bringing home the 2011 4A state crown gave Powell five state championships, with two different programs, in six seasons. During eight seasons in Jackson he compiled a 82-20 record, 45-6 in region play, four region titles and a state championship. His overall record currently stands at 168-59-1 with five AHSAA championships and one AISA title over 19 seasons. Powell will take over a Clarke Prep program who is coming of a 4-8 campaign under first year head coach Jimmy Hicks in 2018.